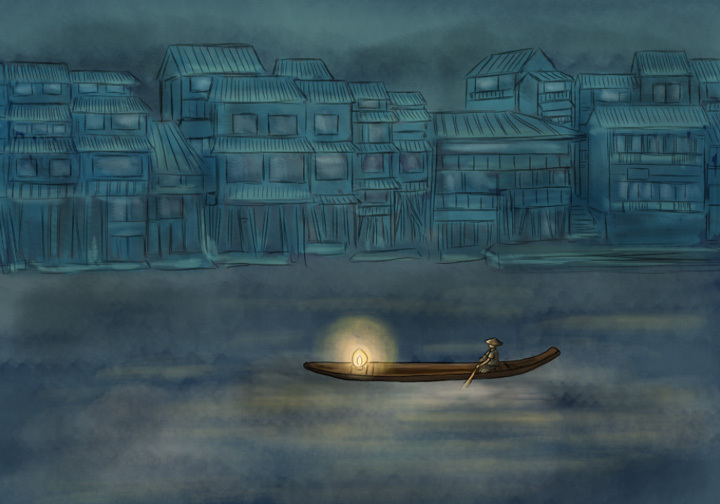 Aug19August 19, 2014 • By Helen H. Wu • This entry was posted in Illustration, Painting and tagged ancient China city, ancient city, archival print, art print, Artwork for sale, China, Fenghuang, fog, foggy night, graphic design, Helen H. Wu, Illustration, inspiration, Night, night scenery, Phoenix, Print, river, sketch, town, travel, travelling. Bookmark the permalink. It definitely feels like the hero’s journey as the protagonist crosses the boundary into the unfamiliar world, ready to be tested. I love your fantasy style!